It’s that time of year when everybody gets to be a little Irish. And for many of you, the best way to do that is to think green. But it’s not just about four-leaf clovers and enjoying a green beer this time of year; it’s about getting ready for spring. Maybe even about getting to live longer…but I’ll explain that further on. The first day of spring is Monday, and that means it’s only a matter of time for those of us who’ve battled the worst of winter to start seeing some greenery replace the white and brown. And if I were you, I’d get out and take advantage of it. It turns out there’s a major upside to green spaces that many people don’t know about. A 2016 study conducted by the Harvard T.H. Chan School of Public Health showed that women who lived in areas surrounded by green space were far more likely to live longer than their city-dwelling counterparts and those surrounded by pavement. Looking at roughly 100,000 women nationwide, researchers found that women living in areas with the most amount of green space in the surrounding 820 feet had a 12% lower rate of death than those living with the lowest levels of greenery. And when some causes of death are broken down even further, the benefit of greenery becomes even more noticeable. People residing close to green spaces had a 13% lower rate of cancer death, 35% lower risk of dying from respiratory-related disease, and a 41% lower risk of death from kidney disease. And it wouldn’t be unreasonable to believe men would experience the same benefits. Living close to green spaces was also linked with lower rates of depression, increased social engagement, higher levels of activity and, as you might imagine, less exposure to air pollution. And a lot of this makes perfect sense. How Do Green Spaces Help? 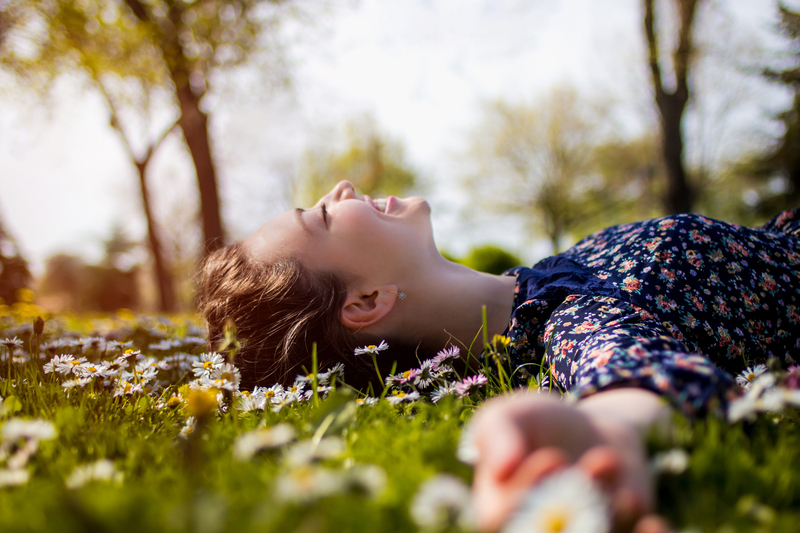 For starters, it’s just plain nice to be outside in green space, and research proves that being outside in such areas increases feelings of well-being. The improved mood could also have to do with lower levels of stress associated with the sounds and action of city life, resulting in a more relaxing, slower-paced life. Basically, it’s much easier—and more enticing—to stop and smell the roses. People who live by green spaces also tend to have higher levels of engagement among their peers and get more outdoor activity, which results in increased levels of vitamin D—a vitamin linked very closely to overall health. And when it comes to pollutants, flowers and leaves are nature’s air filters, vastly improving the quality of oxygen in their vicinity. So when you’re thinking “green” for St. Patrick’s Day, maybe give a little thought to how green is also good for your health. If you live in a city or concrete-jungle suburb, take a look at where your closest green spaces are and make a real effort to go visit them this summer. It might just make you feel better…while extending your life! Frates, E., “Time spent in “green” places linked with longer life in women,” Harvard Health Publications, March 9, 2017; http://www.health.harvard.edu/blog/time-spent-green-places-linked-longer-life-women-2017030911152?utm_source=delivra&utm_medium=email&utm_campaign=BF20170313-Womens50&utm_id=426455&dlv-ga-memberid=11299132&mid=11299132&ml=426455, last accessed March 13, 2017.